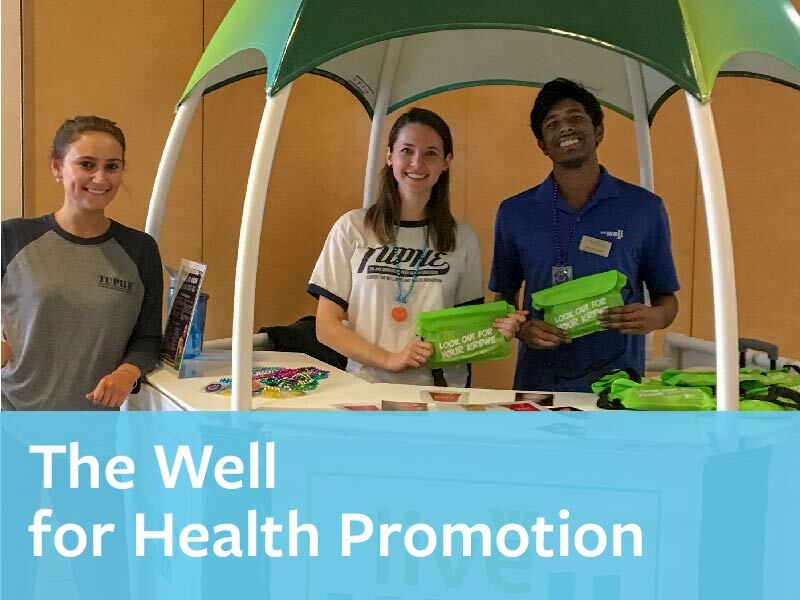 The Well for Health Promotion (The Well) provides resources, programs, and services that help Tulane students make healthy choices in support of their academic, personal and professional goals. The Well is devoted to engaging the Tulane community in creating a healthier campus, building individual capacity for health, and reducing barriers to wellness. We embrace a positive, holistic, social justice-oriented definition of health, and provide research-informed programming that acknowledges that well-being, engaged learning, academic success, citizenship, and openness to diversity are inextricably connected.